JMS has added twelve new Niftylift hybrid boom lifts to its powered access hire fleet. The investment continues JMS’s strong association with the British brand, known for its innovative and robust machines. JMS Managing Director Mark Jackson said: “We are responding to growing customer demand for highly flexible, and highly sustainable powered access hire options. 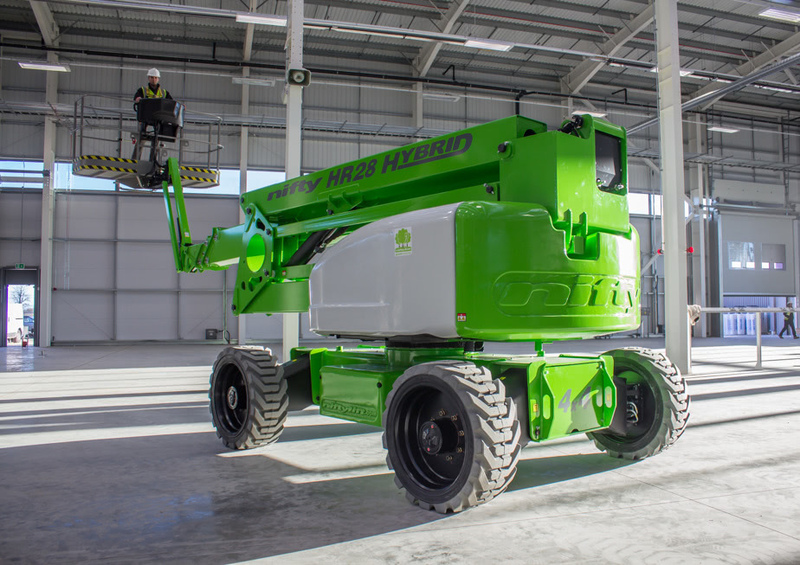 As always, we expect these hybrid boom lifts to be very popular because they can be used both indoors and outdoors, and are highly energy-efficient, so contribute to a lowering of operational carbon footprints. They also incorporate Niftylift’s other key benefits, which include excellent reach and strong safety features, both of which are highly valued by our boom hire customers. We’re very pleased to be sourcing these boom lifts from a British supplier. Niftylift is just down the road from us in Milton Keynes, and good to do business with. 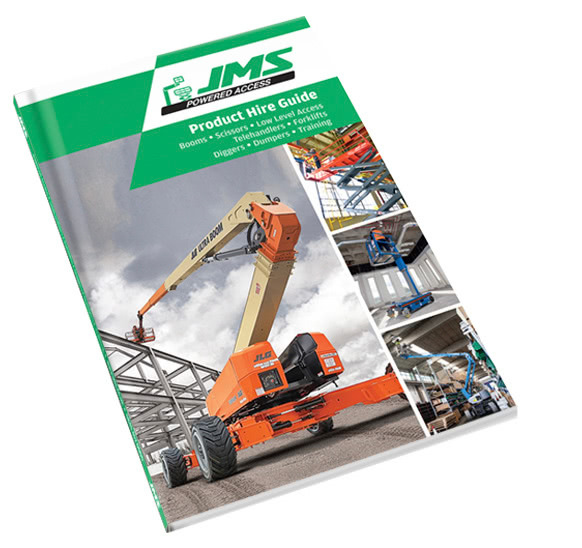 Niftylift – available to hire from JMS. All the machines are fitted with the award-winning SIOPS protection system. 4 Niftylift HR28 boom lifts. The machines have a maximum working height of 28m and excellent manoeuvrability, with an outside turning radius of 5.63m. They are also fitted with the award-winning SIOPS protection system. 2 Niftylift HR21 boom lifts. These boom lifts deliver a maximum working height of 20.8m, and unrestricted outreach of 12.8m at 225kg. 4 Niftylift HR17 4×4 boom lifts. The four-wheel-drive boom lifts has a maximum working height of 17m, and a 1.8m-wide ToughCage. Its 150° fly-boom with 180° cage rotation increases accuracy when positioning the cage. 2 Niftylift HR17N narrow boom lifts. These have a 1.5m-wide narrow chassis for operating in confined spaces, for example down warehouse isles. It has a maximum working height of 17m, outreach of 9.7 metres, but zero tail swing, again for operating in restricted areas. They can be operated on diesel power, for outdoor use, with the availability of a power boost from its electric motor, when it is needed. Or they can switch to full electric power for indoor operation. JMS has depots in Harpenden, Hertfordshire, and Leeds, West Yorkshire. 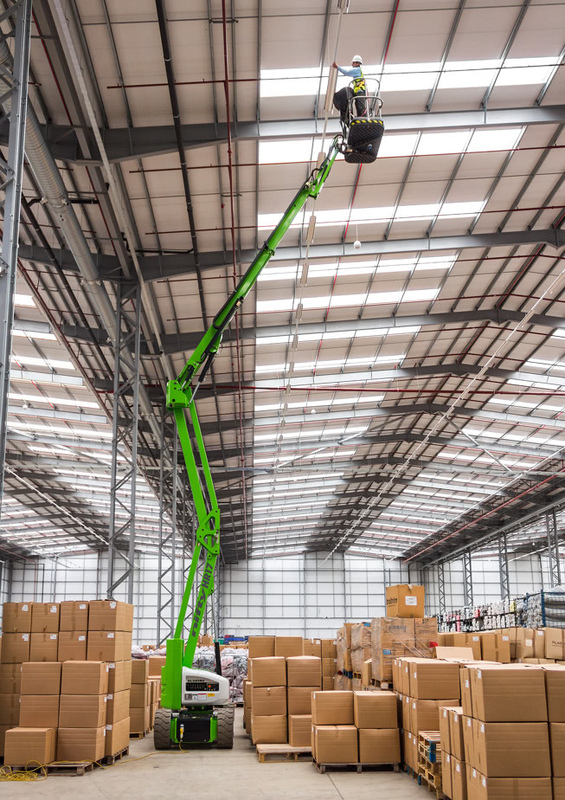 It has invested significantly in some of the tallest aerial platforms in the UK, but its strategy has always been to offer customers the best powered access hire options across the full range of equipment on the market. For information about Niftylift hybrid boom lifts, and all other platform hire options, contact JMS: 0845 457 0000 or hire@jms.co.uk.